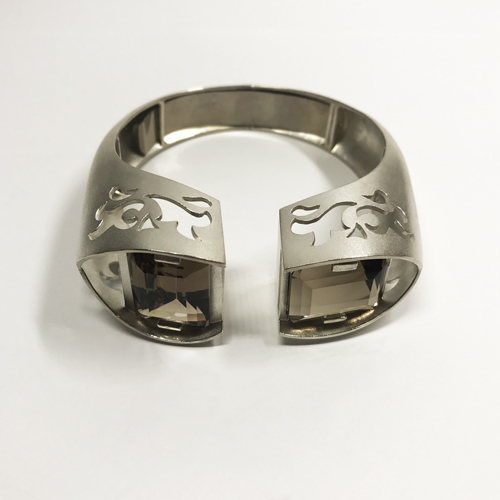 This is a previous pattern used on Trisha’s ‘big-up ring’ of 2013 which we are making again with smoky quartz . 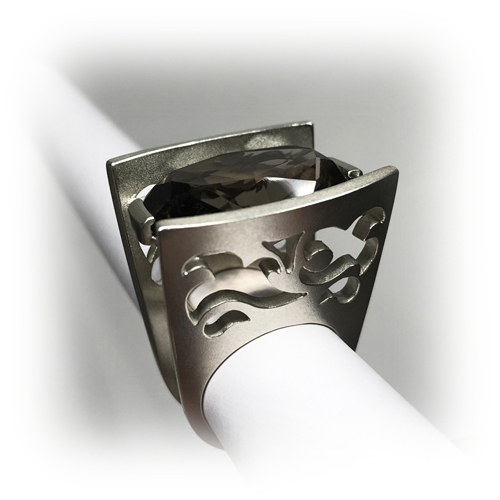 . . so this is a newly developed hinged cuff as a partner to her new ring. I like the smart use of the pattern again and the design resolve of the gem placements. Makes no difference who you are . 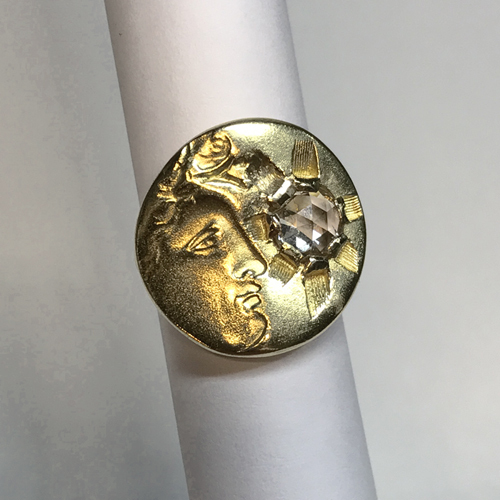 . .
Our first commissioned ‘Stargazer’ ring for Jesse Roebuck: Medallion Ring © Bh ‘Stargazer’ style Diamond, cape colour rose cut SI 1=0.68ct graver set, solid two part fused 18ct yellow Gold. Lovely hearts, lovely friends, lovely outcome . . . HERS: ©Bh Commission L. P. Wedding ring – Oval saddle style ring with oval 22x16mm aligned along finger and tapering slim band approx. 5mm wide. Oval top is flush set with x3 Rubies marquise cut, x11 Diamonds. 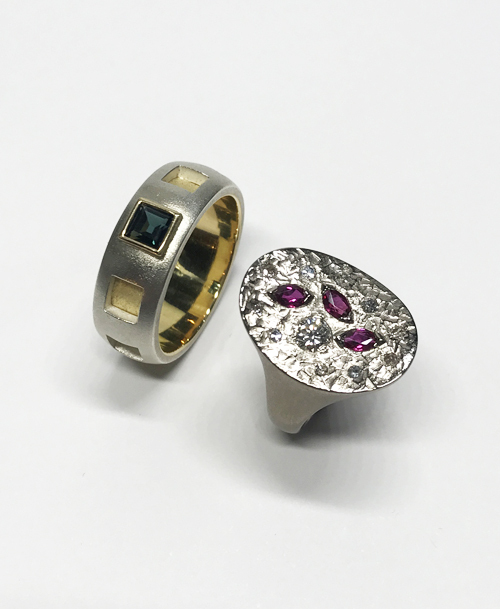 Ring constructed in 18ct palladium white gold. Matt and burnished finish. Size S1/2. HIS: © Bh Commission W. A. 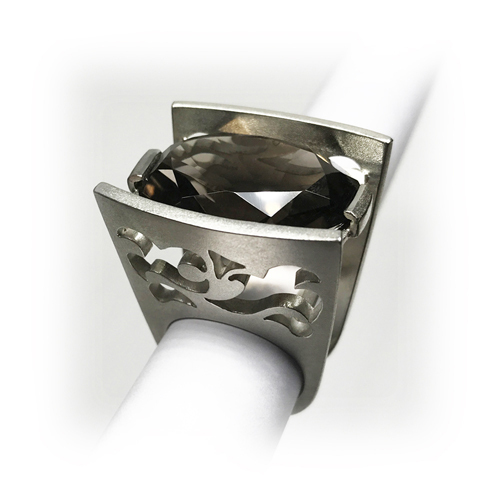 Wedding ring – Cut Out Squares design low half-rounded profile band 8.5mm wide has 9 square cut out sections each 4.5mm. 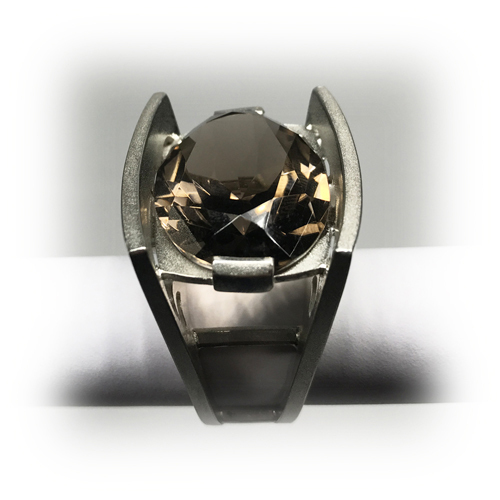 Ring constructed in 925 Silver has fitted inside sleeve of 18ct yellow gold. Recut Sapphire from family ring and rub over setting. Size Y. Matt and burnished finish. 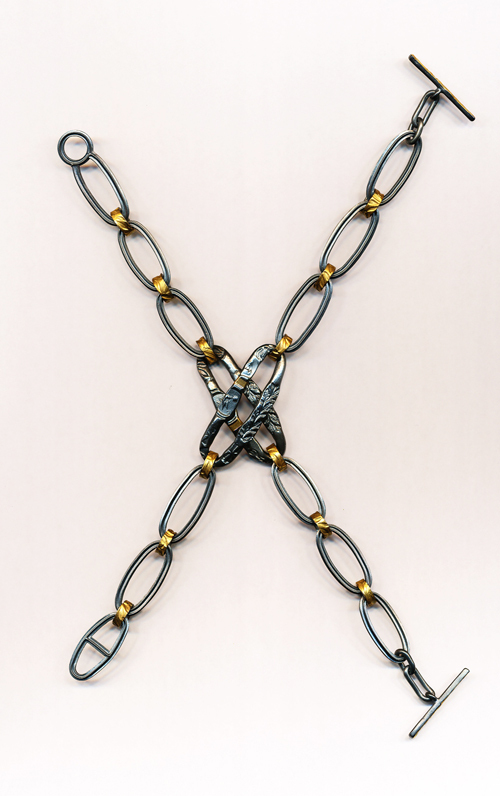 Bracelet © Bh Bar and ring clasp central oval impression link in oxidised silver handmade starwire links and textured 22ct yellow gold small links – for Suzanne and Barbara Heath. 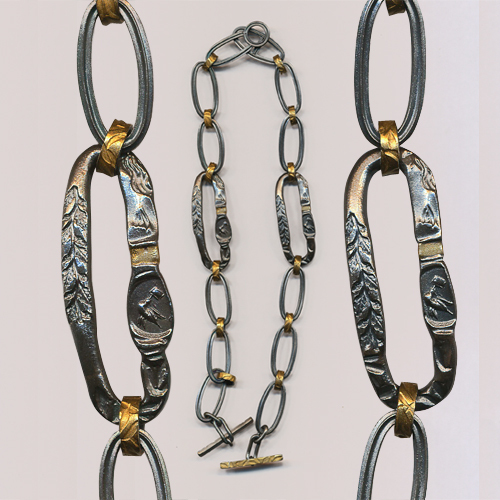 (They often both win a piece when a new technique emerges in the studio).